I love the shoes! Especially the black ones!! That first bag! In love! shoes rock the most in this collection !!! Go for Gold! I love the warmness of the gold and tan on the accessories, so lovely for winter. 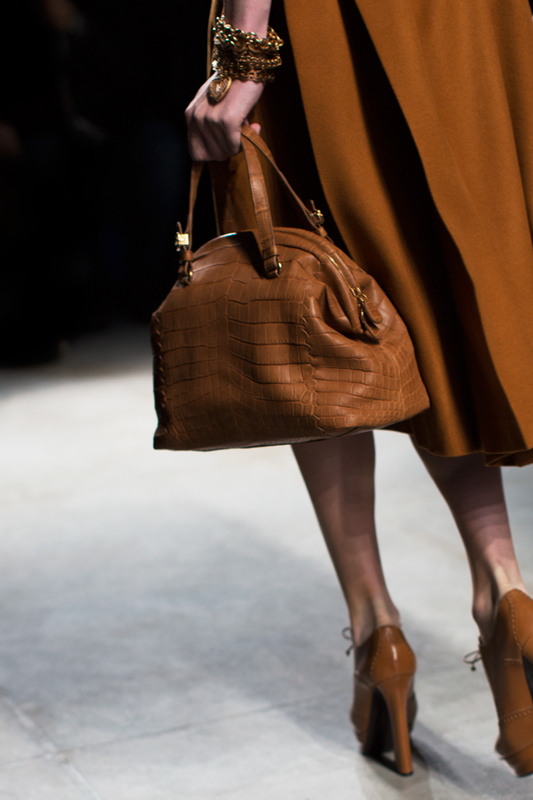 My mother always told me that Bottega Veneta was the most sought after prized purse! I now see why she believed that to be true! 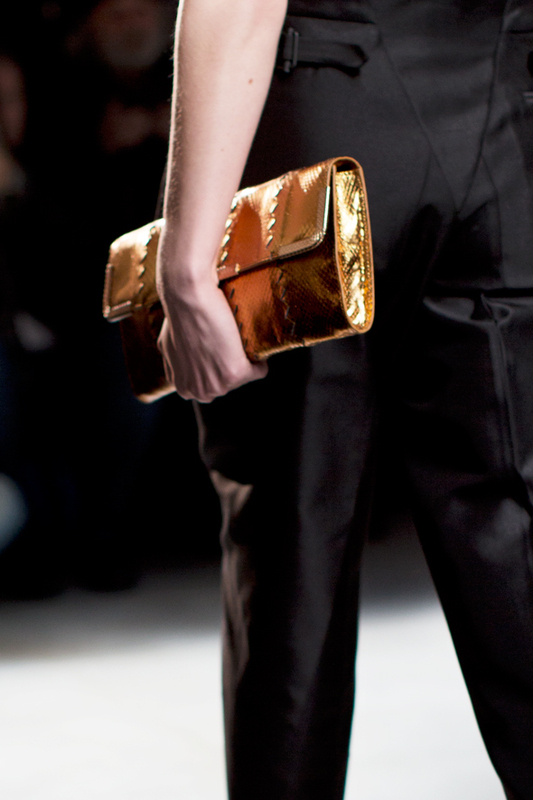 Great accessories, love the clutch! I really love that bags. Looks great and gold color perfect. Like it all. 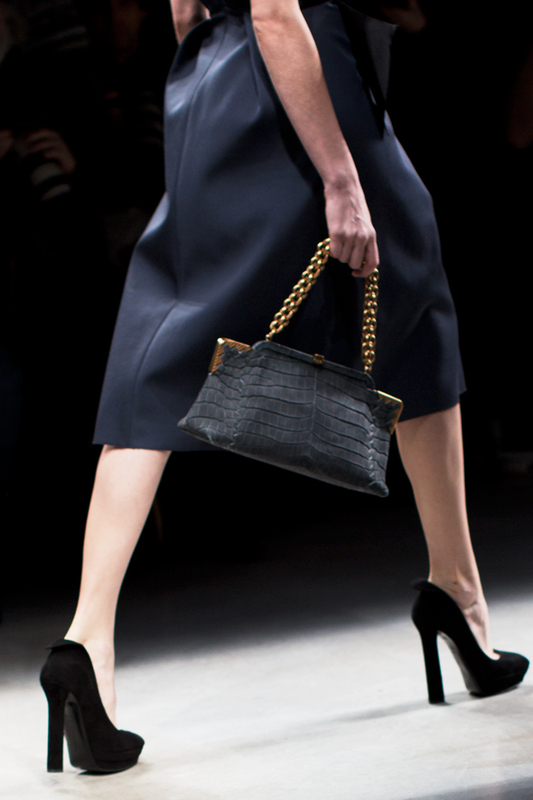 Great accessories, I like the bronze colour of the bags. feeling the first bag – like the gradiating color – not what i normally expect from BV but a nice piece – is everyone going croc crazy lately thought? Does that mean swamp boys are finally catching dem gators? Ohhh these accessories are beautiful, and colors are so sophisticated! my favourite is the last one!!! 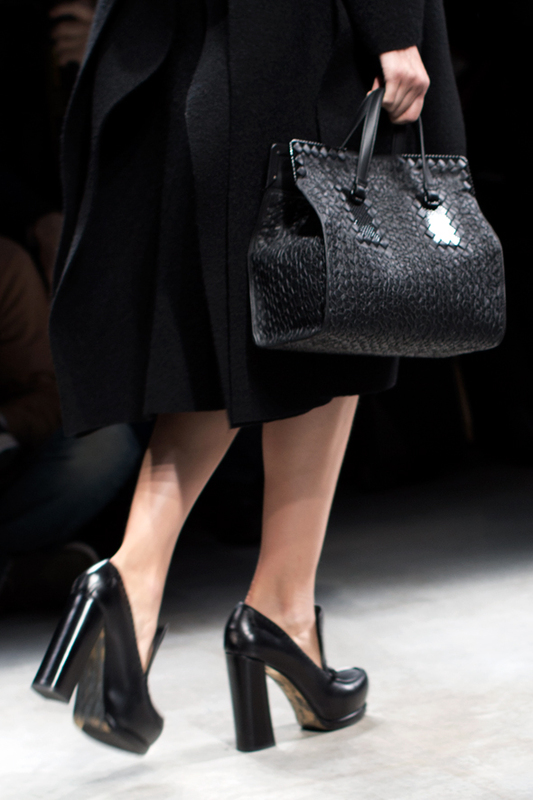 Bottega has the best accessories and bags! Love their designs! The Shoes!!!! Oh they are so good! My favourites are the ones in the 4th picture down. I love the shape and height of the heels! Love the shoes, they look like something Joan Crawford would wear. What amazing colors! The mustard is so rich and deep… Wow! More of those awesome pants kinda like in the CK show! Ooray! In love with those bags! What shoes! Such structure and form! Perfection! And I know this post is about accessories, but can I just say that the yellow coat in the first photo is divine?! All I can say is Wow!!! Gorgeous! Scary shoes – real killers in the true meaning! I love all the bags!! I can’t decide! Those heels are way to high! see what happened to Jennifer Lawrence?! 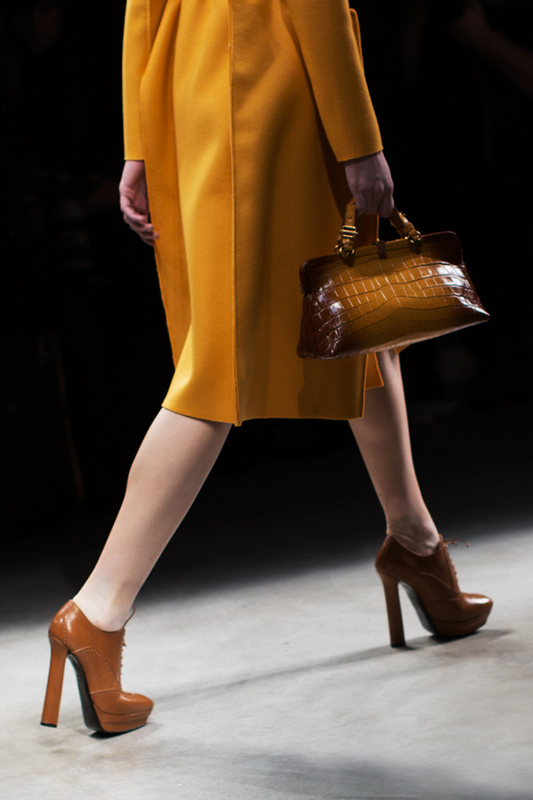 Love the color palet…gorgeous shoes!! !… Want it all!!! good, but not great like last season. I love the trousers in the second shot. I love the black dress pants.